Scott Montgomery learned to play poker and honed his skills as most of the younger players do nowadays: online. In order to further work on his game, Scott read and reread poker books. Eventually, Montgomery wanted to test himself out on the liver poker scene instead of behind a computer. The first live tournament he played was the L.A. Poker Classic Championship Event. Scott worked his way through the field and made it down to fifth place before busting out and earning $296,860. 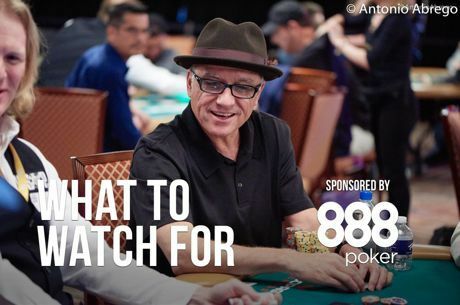 With his awesome run in his first live event, Montgomery took to the WSOP summer events, where he cashed three times prior to entering the Main Event. Those three cashes earned him over $70,000, but that would be chump change compared to what was to come. The WSOP Main Event named its final table members “The November Nine” due to the fact that the final table would be delayed a few months and played in November. After many long days of poker, Scott found himself as one of those final nine players set to return in November. During the months preceding the finale of the Main Event, Montgomery was able to cash in two other events for nearly $40,000 total. When the final table of the WSOP Main Event recommenced, Montgomery went on to finish in fifth place. For his finish, he earned over $3 million. From there, Full Tilt Poker picked up Scott and that’s where you can regularly see him playing online as a red pro. In 2009, Montgomery has continued to travel the tournament circuit. He cashed in five events at the L.A. Poker Classic, including one final table, and also made a final table at The Wynn Classic in Las Vegas. Furthermore, Scott took two fourth-place finishes at the Five-Star World Poker Classic for over $45,000 total. The Canadian poker player has over $3.5 million in career tournament earnings and looks to have continued success along the tournament circuit.